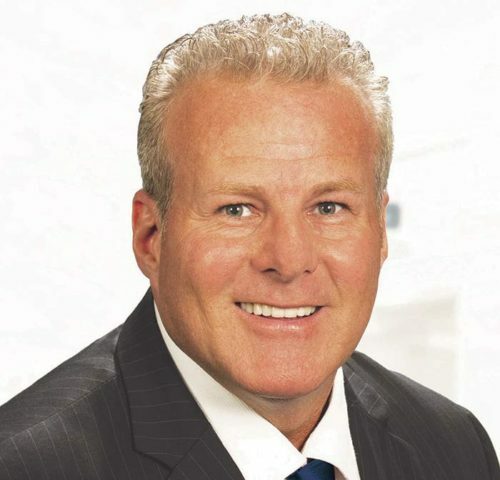 Scott Ferguson is a Broker Associate with Coastal Properties Group International who works with both buyers and sellers in the Belleair, Belleair Bluffs, Belleair Beach, Clearwater, Largo and surrounding communities. Scott is a member of the Pinellas Realtor® Organization, Florida Association of Realtors®, the National Association of Realtor®s and has the following designations: GRI, SRS, RSPS, and MRP. These organizations keep Scott on the cutting edge of the real estate industry with expert guidance in the purchase and sales of residential and income properties. Scott has a unique background for handling real estate transactions. Growing up in Cleveland , in his senior year of high school he started a commercial janitorial cleaning company, which he built up and sold a few years later. Scott then moved to southern California where he became a licensed real estate appraiser working in the communities of Beverly Hills, Brentwood, Hollywood Hills, Santa Monica, Malibu, Hermosa Beach, and Manhattan Beach and was chosen for specialized assignments in Santa Barbara and San Francisco. While living in southern California Scott, co-owned and operated a chain of 9 Luxury Tanning Salons, located in high end shopping complexes, in which he scouted out and negotiated the leases, and oversaw the build out of the salons. Scott started his real estate investments with the purchase of a vacation condo in Florida in order to visit his family more frequently. Upon selling his chain of tanning salons, President and Scott moved to Florida were he has been personally acquiring multiple commercial and residential properties. He currently serves as Vice President on 2 homeowners association boards and is also an active volunteer and Chairman of the Board at the Clearwater Suncoast YMCA and an active member of the Clearwater Rotary Club. Scott and Amy are also South Eastern Guide Dog Cornerstone Society members and actively involved with the organization. While in Florida Scott become a law enforcement officer resulting in acquiring extensive knowledge of the surrounding areas, especially Belleair, Clearwater and Largo. With Scott’s genuine passion for real estate and working with people to improve lives, Scott made the decision to pursue Real Estate full time. Scott utilizes state of the art systems and tools that insure you are provided with the latest, most up to date information. Being extremely detail oriented, driven, efficient, and very determined, he makes it a point to listen to your needs and keeps you well informed throughout the entire process, with his enthusiastic and energetic personality. Representing the prestigious international firm of Christie’s International Real Estate, listings receive international exposure internally to over 46 countries, now including Canada. Scott is supported by his professional colleagues in his office and has relationships with escrow, home warranty, termite inspection, and home inspection professionals to help insure your experience is seamless, giving his personal attention to every detail, throughout the transaction. When it’s time to sell, you need someone who will advertise your home, show to prospective buyers the finer points, negotiate the purchase contract, arrange financing, oversee the appraisal and inspections, handle all necessary paperwork and supervise the closing. Scott can take care of everything you need; achieving the results you want while providing the exceptional service that you deserve. When you are in the market to buy or sell a home, second home or an investment property, contact Scott.